Blake Henderson, Adam DeMamp, and Anders Holmvik all work together at the same telemarketing company. They are just three guys who are trying to make the most of their 9 to 5 existence. The problem is that these three guys also live together in the same apartment, which means that work always follows them home. The guys do their best to separate work from home, but each week they find a new set of bizarre challenges that forces them to admit that their lives do revolve around their jobs. They go through identity crisis', they have problems with relationships, and they always seem to find themselves on the verge of getting fired, but they never really seem to care at all. 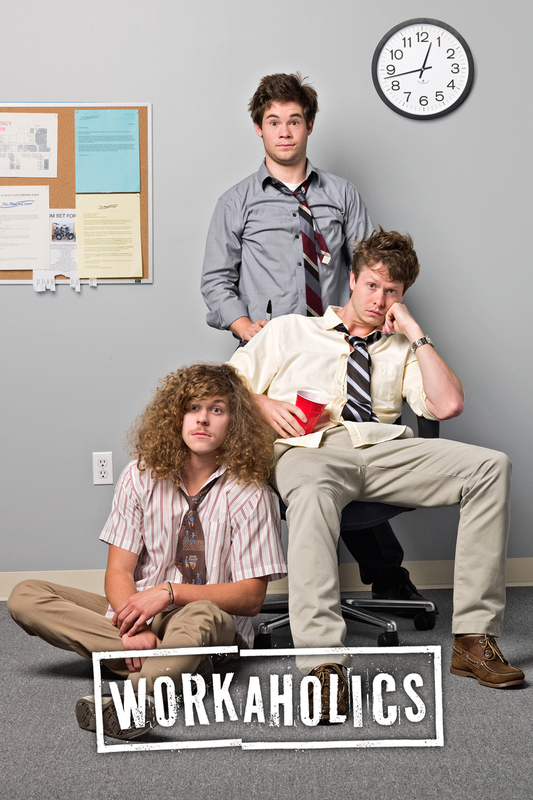 DVDs Release Dates is the best source to find out when does Workaholics come out on DVD and Blu-ray. Dates do change so check back often as the release approaches.